For us, Montana is home. For adventurers, it’s paradise. Sitting on the couch with his son, owner Dan Austin was taken aback by the realization that, because of the phones they both had in their hands, they hadn’t spoken much of anything to each other. Thus, the idea for a much needed digital reprieve was born. So, leave your electronics. Answer the call of the wild and join us on this small group, action-packed adventure through Big Sky Country and Yellowstone National Park. With roots deep in Montana soil, it’s no wonder Austin Adventures is the leading provider of best-in-class travel from Paradise Valley to Old Faithful and beyond. Raft the Yellowstone River, hike amidst the Spanish Peaks and ride horseback with a couple of bona fide cowboys on one of our custom, all-inclusive Montana vacation packages. Wildlife and wildflowers come to life as our local guides introduce you to the hidden gems of the wild, wild west. All the while, enjoy western hospitality and regional cuisine from guest ranches and iconic park properties complemented by Austin’s signature touch of inspired, thoughtful service. Giddy up! Sprawling, mountainous vistas in Paradise Valley and a whimsical mosaic of geothermal activity in Yellowstone National Park serve as the inspiring backdrop to not only this adventure of a lifetime but, with our home office located here, also Austin Adventures backyard. On this custom Montana vacation, spend six unforgettable days discovering the best of the west with the best in the west. **Austin Adventures is an equal opportunity employer. To understand the commitment Austin Adventures expects from each trip participant, please see our Digital Detox Pledge here. *Our guides specially trained and available as the emergency contact for family and friends to contact you. Photography will be provided by Austin Adventures. Pick-up in Bozeman. Take a short hike through timber and meadows along Hyalite Creek to Grotto Falls. Enjoy a gourmet picnic lunch upon return from your adventure. Shuttle up Gallatin Canyon to the town of Big Sky and prep for a zip line tour across the Gallatin River. Tonight’s dinner is at the 320 Steakhouse and Saloon. Embark on an all-day hike amid the Spanish Peaks to Beehive Basin with sweeping views of the Madison and Gallatin Ranges, including Big Sky’s Lone Mountain (an alternate hike may be arranged on early season departures, depending on trail conditions). Lunch trailside by the shore of an alpine lake. Continue your trek through wildflower meadows, glacial streams and the distinctive crags of Beehive Peak. Enjoy a night on your own with a shuttle to Big Sky by your guides or choose to stay back at the ranch. Shuttle to Yellowstone for a hike alongside Midway Geyser Basin to an unforgettable overlook of Grand Prismatic Hot Spring. 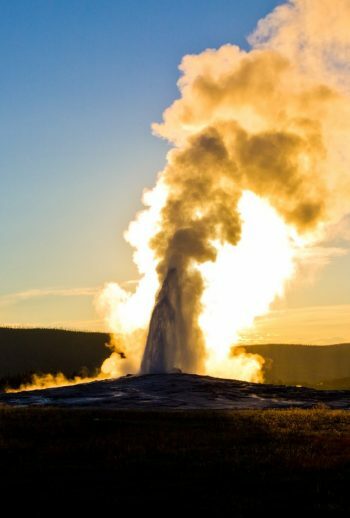 A short drive away is Old Faithful and the Upper Geyser Basin, home to the largest collection of geysers in the world. Take some time to explore this area with your knowledgeable guide before a delicious picnic lunch. Transfer to Canyon over the Continental Divide, along the shoreline of Lake Yellowstone and through bison-dotted Hayden Valley. This evening, enjoy dinner at Canyon Lodge. Featuring five lodge buildings built in 2016, Canyon Lodge is situated in the center of the park a short distance away from the Grand Canyon of the Yellowstone River. The rustic accommodations allow for the opportunity to step back from technology and embrace lodging in the country’s oldest national park. Located on site, you’ll find several restaurant options, a general store and a visitor center for those looking to explore this sprawling accommodation. 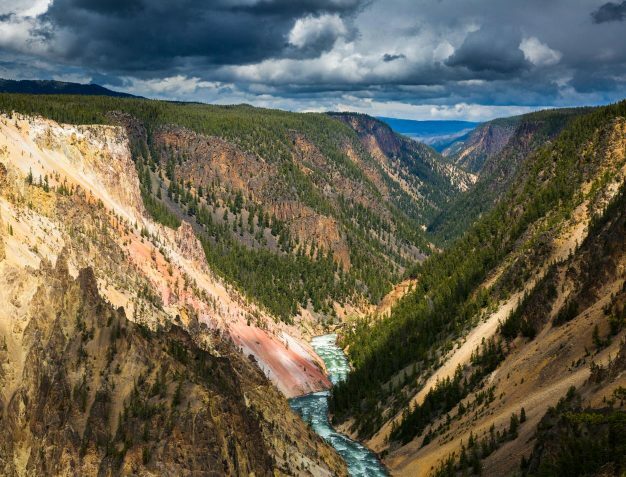 Embark on a backcountry hike along the Grand Canyon of Yellowstone, ending at a viewpoint of the incredible 308-foot Lower Falls. Drive over Dunraven Pass on the lookout for black bears en route to Gardiner where we enjoy lunch at the historic Roosevelt Arch. 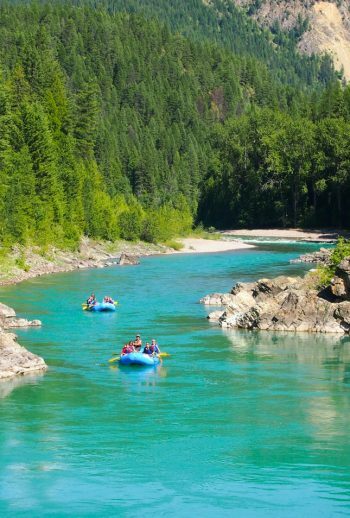 Load into rafts for a beautiful and splashy ride down the Yellowstone River. Drive through Paradise Valley to Chico Hot Springs Resort and Day Spa. Dinner tonight at a nearby local spot. Shuttle to the Flying Diamond Ranch and mount up for a leisurely morning horseback ride high into the Absaroka Mountains. Our picnic lunch spot boasts spectacular mountain views. A short afternoon hike to a backcountry waterfall will set the stage for a perfect evening. Back at Chico, soak in a natural hot spring before feasting on a candlelit farewell dinner. Take a morning hike to a nearby trout pond or enjoy a last morning soak in the hot spring-fed pool. Return to Bozeman airport and area hotels. Austin Adventures guides are experienced facilitators and regional experts. They will take the time to explain the details of each activity, answer any questions, and demonstrate the use of all equipment. Each activity has been carefully planned to include options for all levels. Most importantly, Austin Adventures guides will help you select the distance that’s right for you. Unlock the mysteries of Yellowstone’s geyser basins. Wander your way along winding trails through Montana’s pristine backcountry, unlocking the secrets of the forest along the way. Scrutinize the pros and cons of wildfire in a lodgepole pine tree ecosystem. Search for moose, bears, wolves, and elk in the middle of a supervolcano’s massive caldera. Taste for yourself the tender juiciness of a Montana home grown beef filet mignon. Take in the beauty of North America’s largest high alpine lake, Yellowstone Lake and make sure to ask about why the lake trout are such a big problem. Listen to a rancher’s side of the story as you hear Martin or Jack Davis, fourth generation cowboys, explain how Yellowstone’s reintroduced wolves have affected their cattle population. Learn why Chico Hot Springs Resort is a favorite celebrity haunt. Discover for yourself this place they call Big Sky Country with the experts in adventure travel.